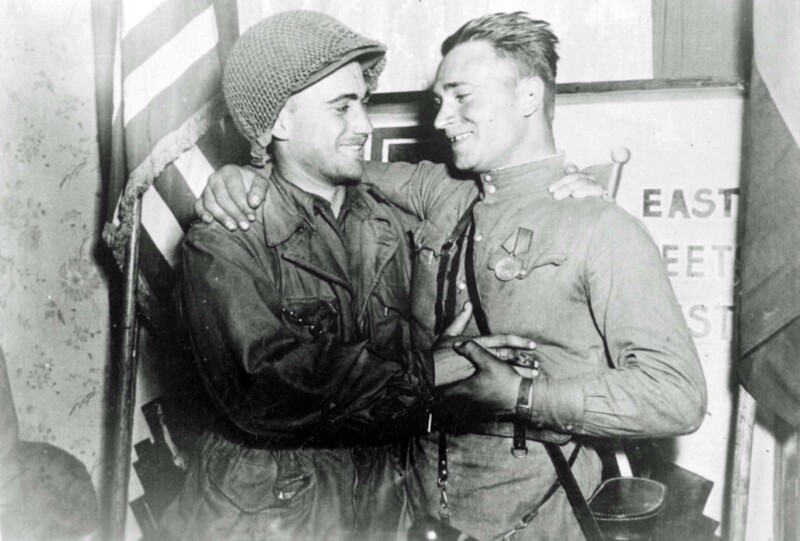 Lieutenant William Robertson of the United States Army and Alexander Sylvashko, a lieutenant of the Soviet Army, embraced brotherly in front of the photojournalist during the historic Allied Meeting on the Elbe. Torgau (Torhow), Germany. April 25, 1945.